The LS-X series of lifting magnets are designed for the most rigorous applications of the scrap handling industry and other demanding users. The LS-X features an extra-heavy bottom plate design for large, dense scrap handling and a heavy-duty cast case construction for long life. LS-X magnets feature Ohio’s deep field design that is specifically engineered to provide our most demanding customers maximum scrap handling productivity. 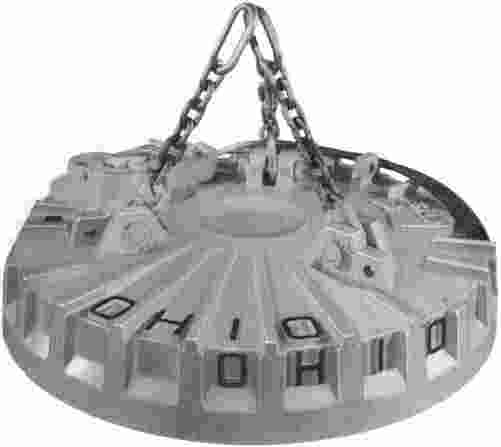 We've introduced another reason why users prefer Ohio Magnetics -- the Model 67 Super Loadstar, a lifting magnet with even greater lifting capacity, increased duty cycle and cooler operating temperatures for your most demanding applications.